To order your copy please click here. To view a flier including further information about the book, please click here. 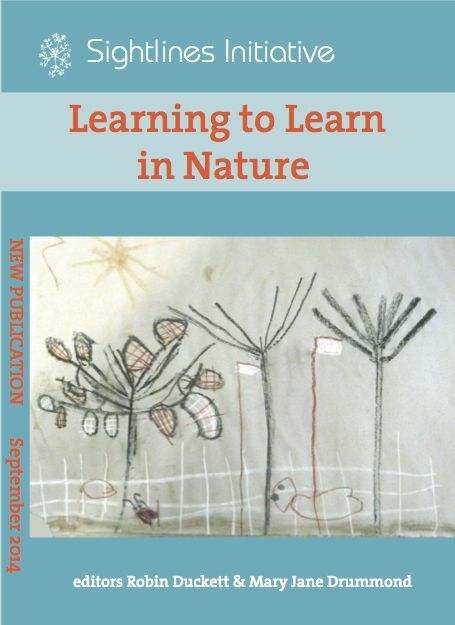 The Early Learning in Nature Project (2009-2014) worked each year with groups of children and their educators who regularly visited and became familiar with their very own "wild place", engaging in exciting, imaginative and elemental learning. 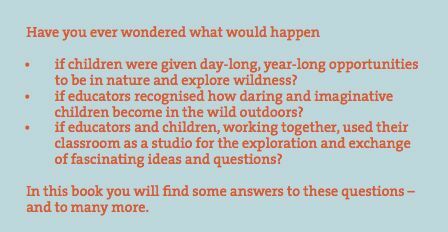 The project was designed to give children with limited access to natural environments sustained opportunities for engaging with nature. 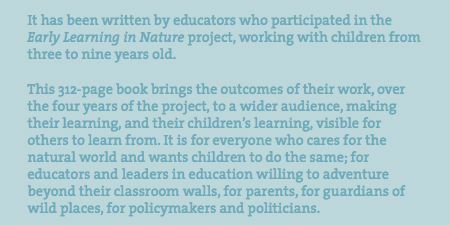 It sought to provide a sound basis for respect, understanding and stewardship of the natural world, as well as a rich resource for co-constructed and imaginative learning.